Yes, it’s been that kind of a week-end …a soul-searching, I-need-some-comfort-food kind of a week-end. Let’s just say that I was extremely grateful that I had a vibrant green colored broccoli in the fridge, just screaming to be transformed into a comforting soup. 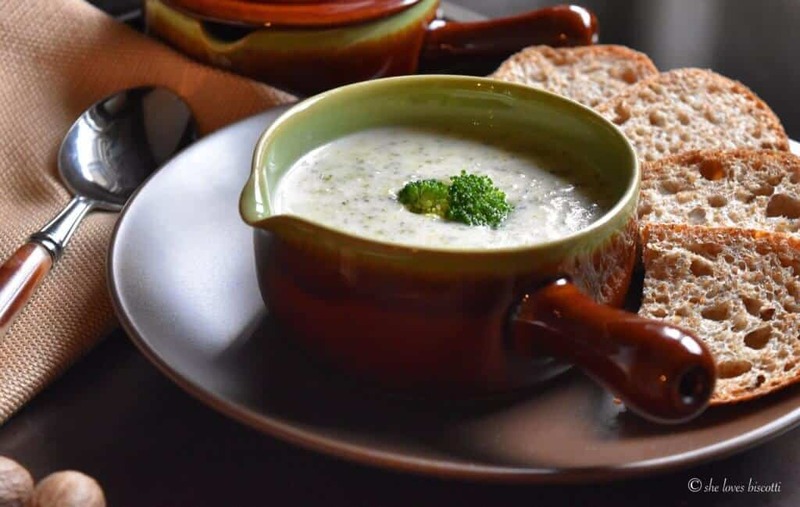 But this recipe also requires a few other ingredients in order to achieve its status as the Best Chunky Creamy Broccoli Soup around. Allow me to show you how easily this soup comes together. In a medium sized pot, heat two tablespoons of olive oil over medium-high heat. 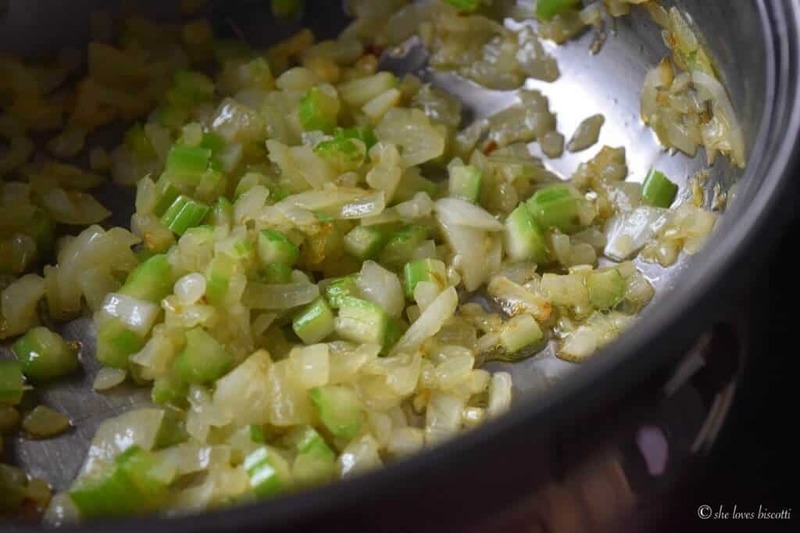 Sauté the onion and celery for about 5-7 minutes or until softened. Add the minced garlic and sauté for another minute or so. 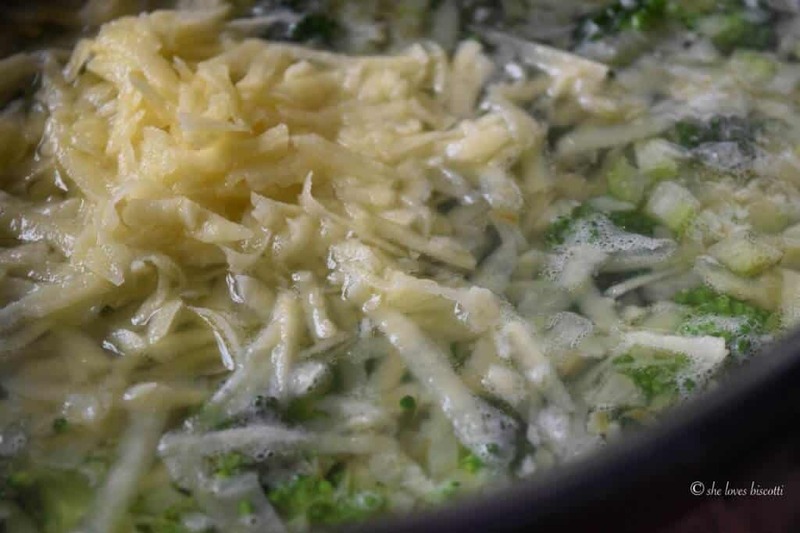 Add the vegetable broth, the grated potato and the chopped broccoli. Bring to a boil. 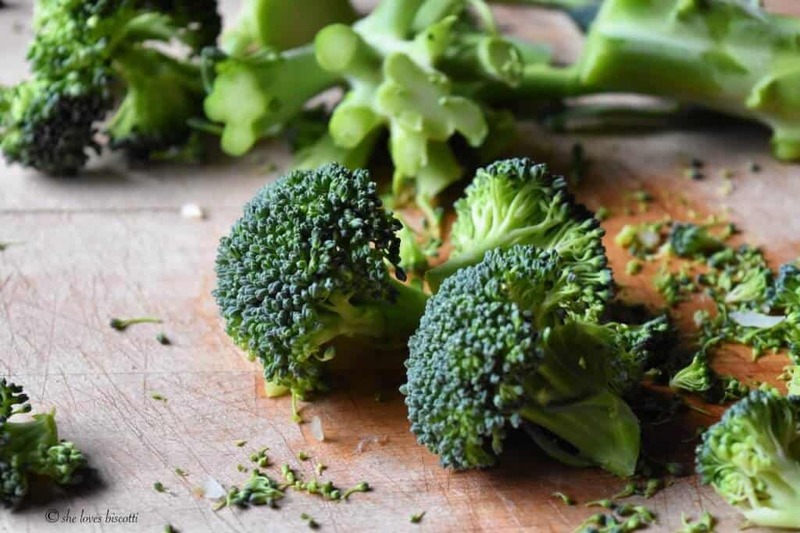 Reduce heat; cover and simmer for about 15 minutes or until the broccoli is soft enough to be crushed with a potato masher. Meanwhile, in another saucepan, melt the butter over medium-high heat; whisk in the flour until smooth. Continue whisking while slowly adding the milk. Lower the heat to medium and keep whisking until mixture thickens and begins to bubble. This step should take about 3-5 minutes. 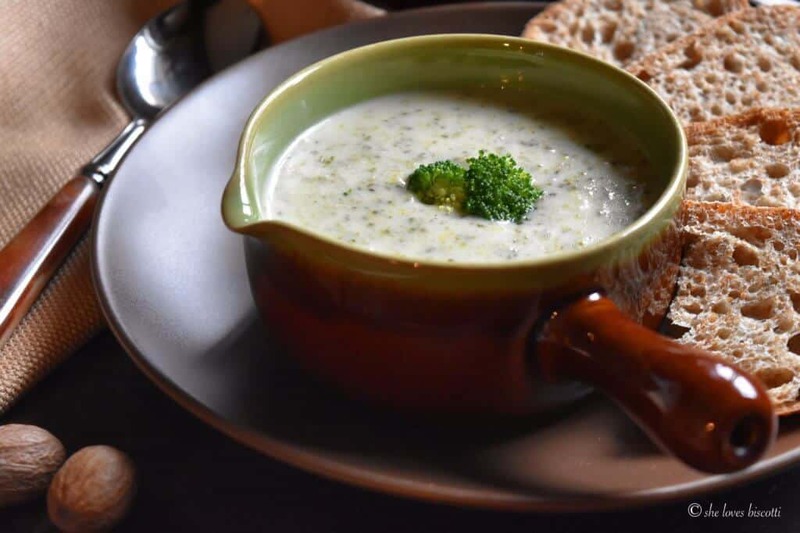 Nutrition note: There are many recipes for broccoli soups which will include the use of cream instead of milk. 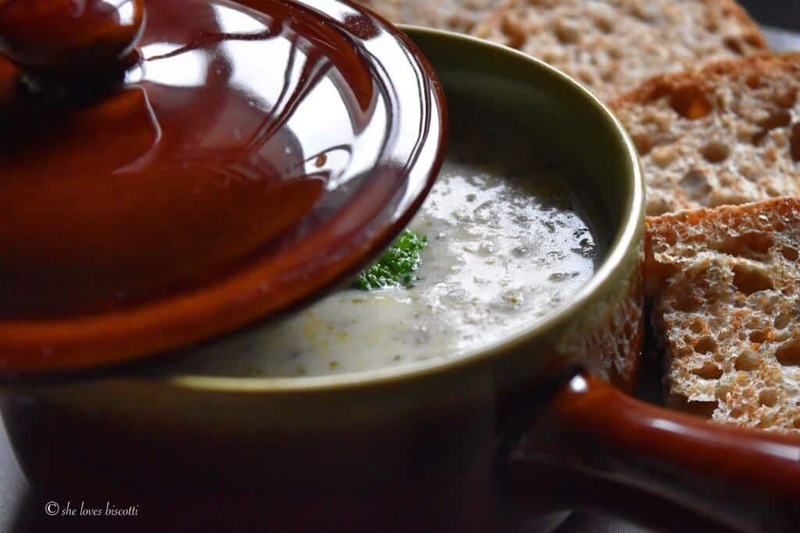 You will probably not be surprised if I told you that I have chosen to make my bowl of comfort soup a lighter and consequently heart healthier version by using a low fat 1% milk. As they say, knowledge is power …you have just been empowered with some numbers! Okay… back to the soup. Add the thickened milk mixture to the broccoli and stir together. Season with salt, pepper, nutmeg and serve. 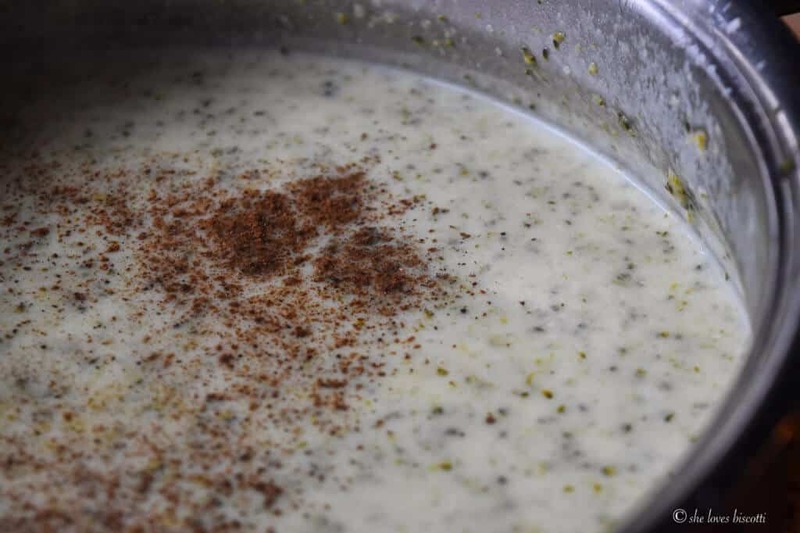 This recipe for the Best Chunky Creamy Broccoli Soup has been one of my go-to comfort soups for over a decade. The original recipe can be found over at allrecipes. As is the case with most recipes, it is fun to adapt and personalise to suit your own preferences. Here are some of the modifications that I have made to the original recipe. The first is the addition of garlic – in my books, you just have to have garlic. I also added a shredded potato in order to provide a little bit more depth to the overall flavor of the soup. The addition of nutmeg is another flavor enhancer. You will also notice that the original soup is pureed. 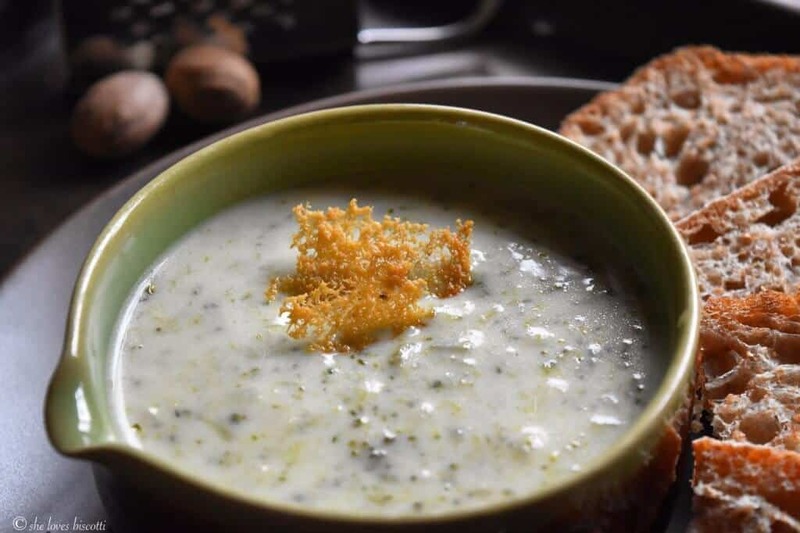 As much as I love pureed soups (Roasted Butternut Squash Ginger Pear Soup) I prefer to have little tidbits of broccoli throughout the soup… so no blendarized soup this time around. 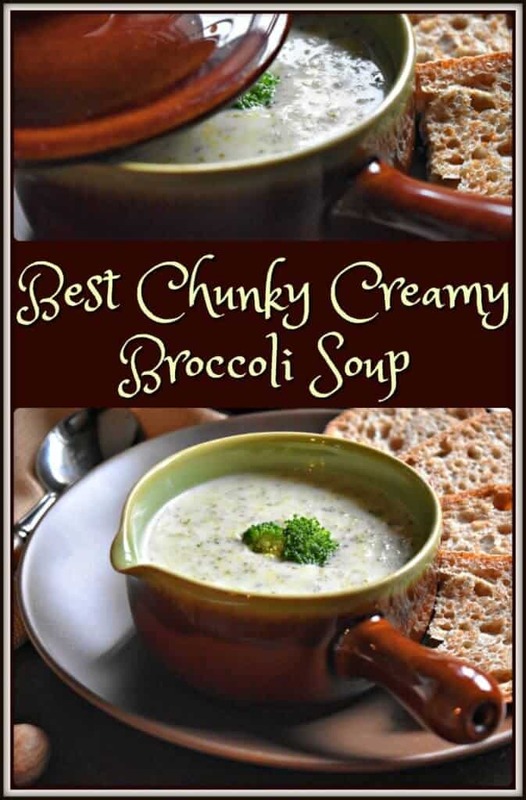 In less than 40 minutes, you can have a wonderful bowl of the Best Chunky Creamy Broccoli Soup. Despite the knowledge that old man winter will soon be upon us… with my bowl in hand, I am ready! In a medium sized pot, heat two tablespoons of olive oil over medium-high heat. Sauté the onion and celery for about 5-7 minutes or until softened. 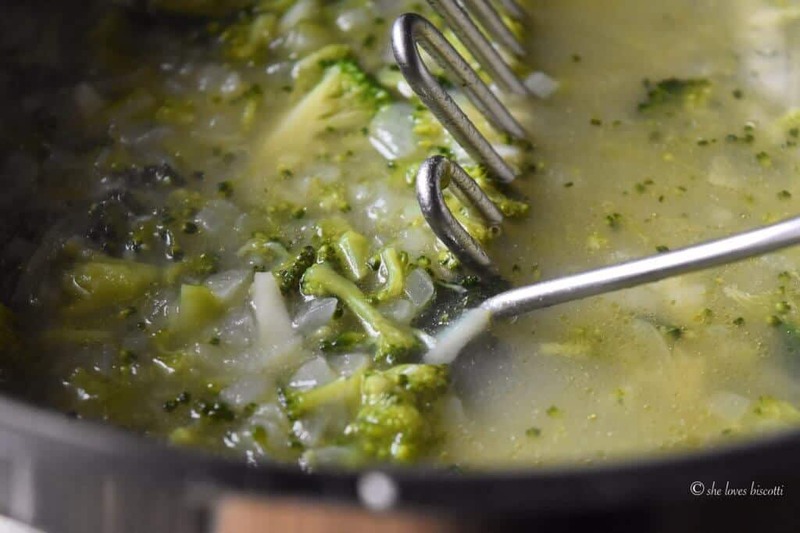 Reduce heat; cover and simmer for about 15 minutes or until the broccoli is soft enough to be mashed with a potato masher. In another saucepan, melt the butter over medium-high heat; whisk in the flour until smooth. Continue whisking while slowly adding the milk. Lower the heat to medium and keep whisking until mixture thickens and begins to bubble. This step should take about 3-5 minutes. Add the thickened milk mixture to the broccoli and stir together. I love how you have adapted this recipe to make it healthier. Thanks!!! I love the way you have adapted this recipe and provided your readers with some specific information regarding the calorie content. 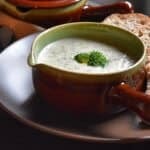 I adore cream soups but generally try to stay away from them. This recipe is an excellent way to achieve a rich, satisfying soup while still keeping calories in check.